HARTFORD, Conn.  The Connecticut House of Representatives on Tuesday passed legislation decriminalizing marijuana, with supporters calling it a "common sense reform." The measure heads to Gov. Dannel P. Malloy, who has promised to sign it into law. After a nearly four-hour debate, the House voted 90-57 to soften the punishment for possession of less than a half-ounce of marijuana to fines of $150 for a first offense and $200 to $500 for subsequent offenses. 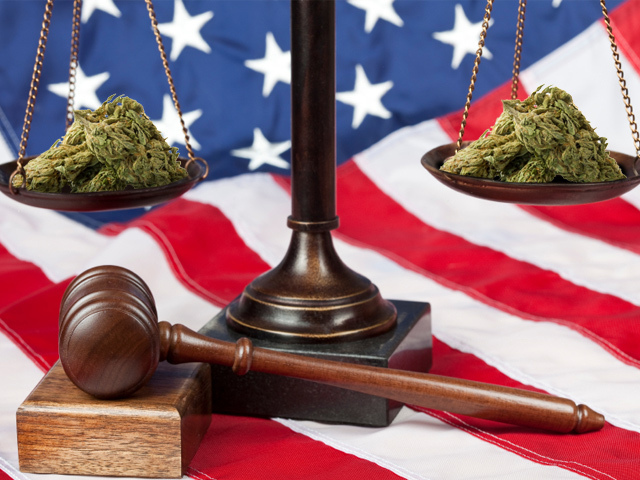 Current state law classifies marijuana possession as a misdemeanor, punishable by a possible jail term and larger fines. Those younger than 21 would face a 60-day driver's license suspension, similar to the current penalty for possessing alcohol. The bill also requires anyone 18 years old or younger who is caught with less than a half-ounce to be referred to the state's juvenile courts. And it requires referral to a drug education program for anyone who for a third time enters a plea of no contest or is found guilty of possessing less than one half-ounce of marijuana. Rep. J. Brendan Sharkey, House majority leader, touted the legislation's call for drug education. "If the policy is to punish, there's also an argument to be made to prevent," he said. In a statement, Malloy said lawmakers recognize that current law "does more harm than good  both in the impact it has on people's lives and the burden it places on police, prosecutors and probation officers of the criminal justice system." "Let me make it clear  we are not legalizing the use of marijuana," said Malloy, a former prosecutor. "In modifying this law, we are recognizing that the punishment should fit the crime and acknowledging the effects of its application." Opponents said marijuana is a harmful drug and that the law should keep it beyond reach. Republican Rep. Lawrence Cafero, the House minority leader, criticized the legislation for what he said reduces the consequences for possession to a traffic ticket or an infraction. He said marijuana has ruined their lives of many young people. "I've seen scores of students who were fantastic athletes, maybe they were talented musicians or sang in the choir. They filled their life with after-school activities," he said. "Now they quit. They've lost interest in baseball. They've lost interest in sports. I've heard parents say their kids don't want to do anything. They're lethargic." Bill Simanski, a Granby Republican, said decriminalizing pot will be a boon to "crime syndicates and drug lords." "It will benefit the people who get rich off of the sale of marijuana," he said. Rep. Christopher Coutu, R-Norwich, said the legislation minimizes the unlawful use of marijuana. "We're making a policy statement more than anything else that marijuana in many ways is less dangerous, less harmful than a speeding ticket or a cell phone while you're driving," he said. The Senate last week passed the legislation with a tie-breaking vote by Lt. Gov. Nancy Wyman.